Get back to basics with a sterling silver and gemstone bracelet from the John Hardy Classic Chain collection. This sophisticated piece of jewelry features a box-clasp embellished with black sapphires that rest upon a hand-woven chain. 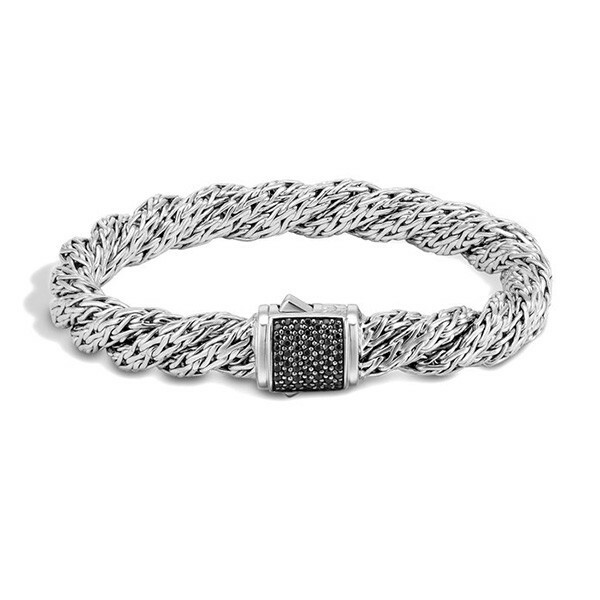 The semi-precious stones make this John Hardy bracelet even more special.